At neutron research and other facilities all around the world radiation shieldings are applied to reduce the impact of neutron and gamma radiation as far as possible. The current approach with cement-based compounds has a number of shortcomings: ‘‘Heavy concrete’’ contains a high amount of elements, which are badly suited to obtain a high attenuation of neutron and/or gamma radiation (e.g. calcium, carbon, oxygen, silicon and aluminum). Due to radiation concrete cannot be recycled or reused easily. Therefore the disposal of concrete is very expensive and time consuming. 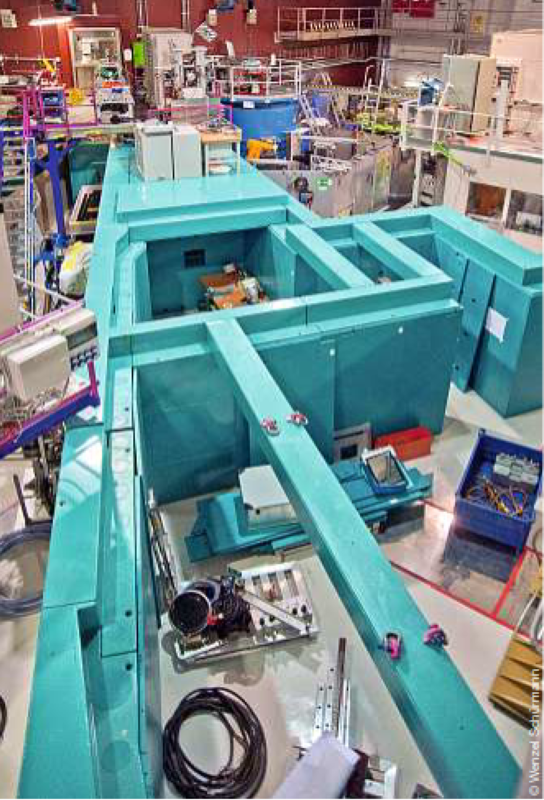 The new SHIELD developed at the neutron source FRM II in Munich is 20% more effective, 20% lighter and by far less expensive across its life cycle. The SHIELD is made of building blocks that can be arranged and rearranged freely allowing for easy changes in the setup. 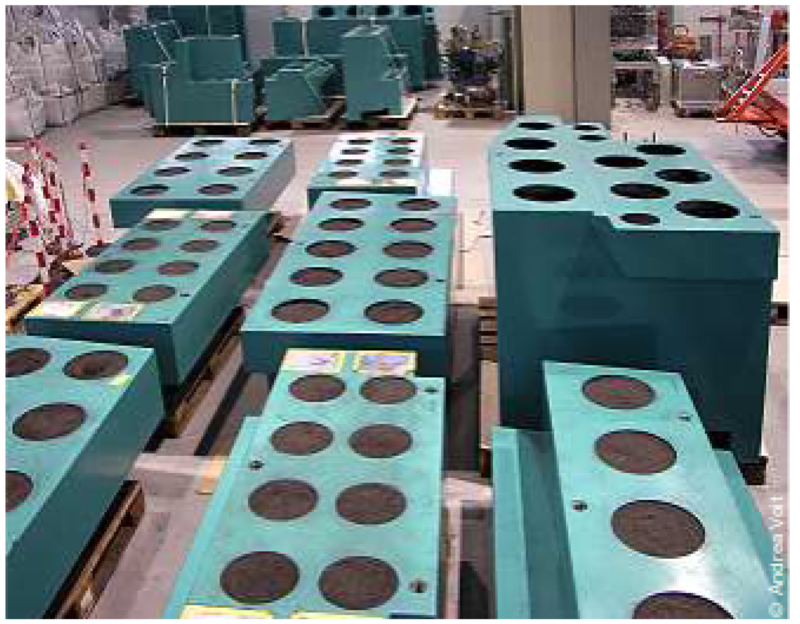 The blocks are made of steel housings filled with a special „sand“ containing patented mixtures of boron, iron and other compounds to meet the reqirements of the specific application. The blocks are covered with a polyethylen skin protecting the metal housing from radiation. If you want to redesign or replace your experiment you can change the SHIELD accordingly and reuse the „sand“ of the old blocks in the newly designed blocks. This saves the bigger part of the disposal costs and much of the cost of the shielding for the new experiment or application.